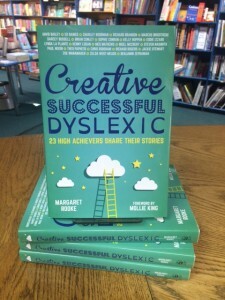 Last ni ght at the bookshop saw a full house for the launch of Margaret Rooke’s wonderful book ‘Creative, Successful, Dyslexic: 23 High Achievers Share Their Stories’ with special guest, and featured high achiever, poet Benjamin Zephaniah. 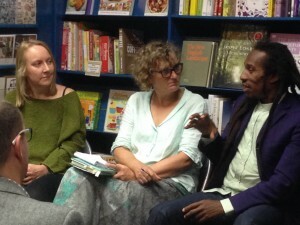 Through the thoughtful questioning of Guardian literary editor Claire Armitstead, Rooke and Zephaniah discussed the challenges faced by those growing up with dyslexia and shone a light into the unique skills that often emerge from such a struggle. 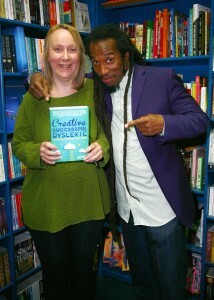 The assembled crowd was treated to personal anecdotes, advice and plenty of humour from the world renowned poet, with insightful questions from the floor ranging from leaders in the educational world, through to those working with dyslexia on a more personal level. 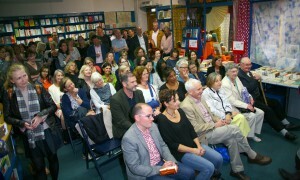 A great book, a brilliant event and a good night had by all!